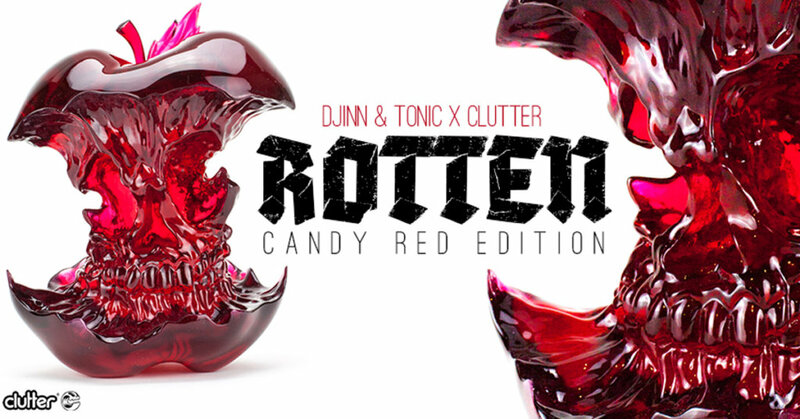 Djinn & Tonic teams up with Clutter studios to present you all Rotten Candy; Red Edition. Containing no vitamins and hard as a rock is this sculptural collaborative resin sculpture. and amazing translucence, this haunting design is a centrepiece for any collection. Each piece is lovingly handmade in NY by Clutter, using transparent resin to bring to life this giant sculptural achievement. Measuring 8” x 6” x 5” tall, and limited to 50 pieces. Clutter Studios is a world-class creative production and design house. With 3D scanning, modeling and printing capabilities, alongside traditional sculpting, solid and roto-cast resin casting, and full factory production, we are here to bring artistic visions to reality.